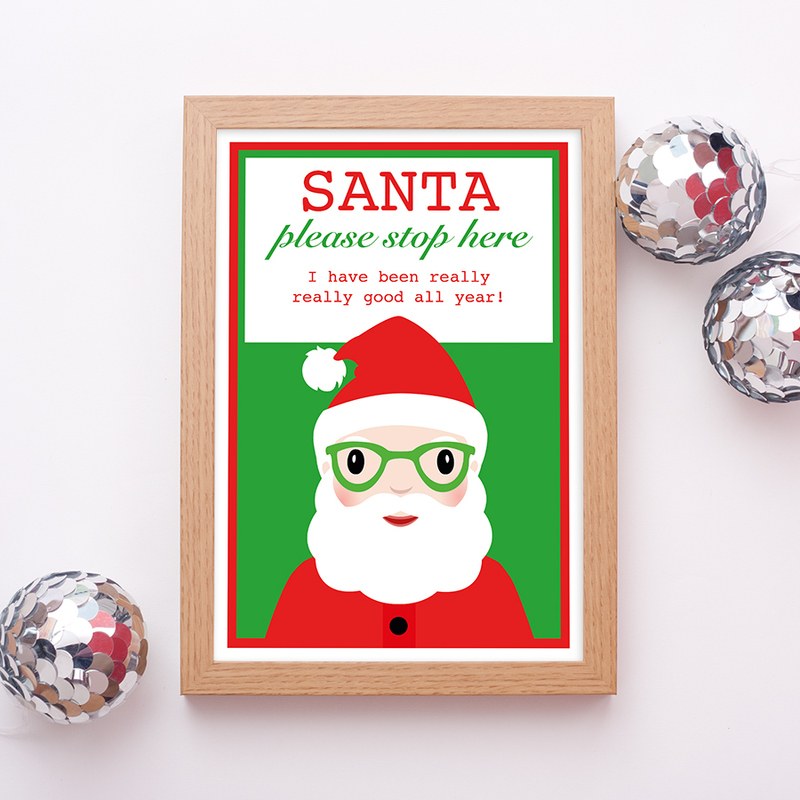 This week I have been very busy adding lots of products from my new ‘#StationeryAddict‘ range to my website. I thought you might like to take a look at them as the end of the Summer school term will be upon us before we know it! 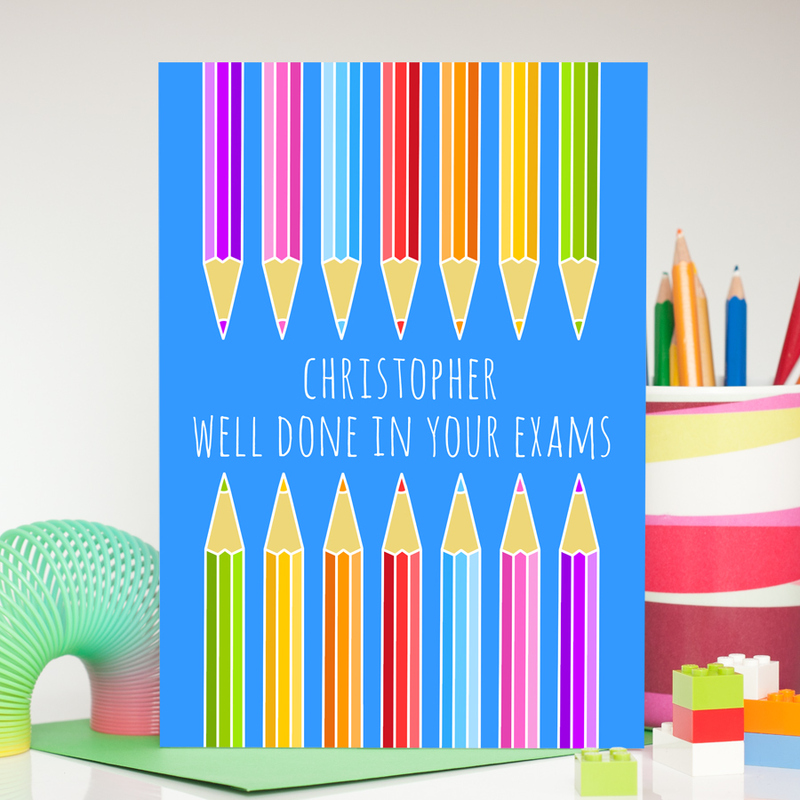 Four of the new cards feature some bright and cheerful colouring pencils. 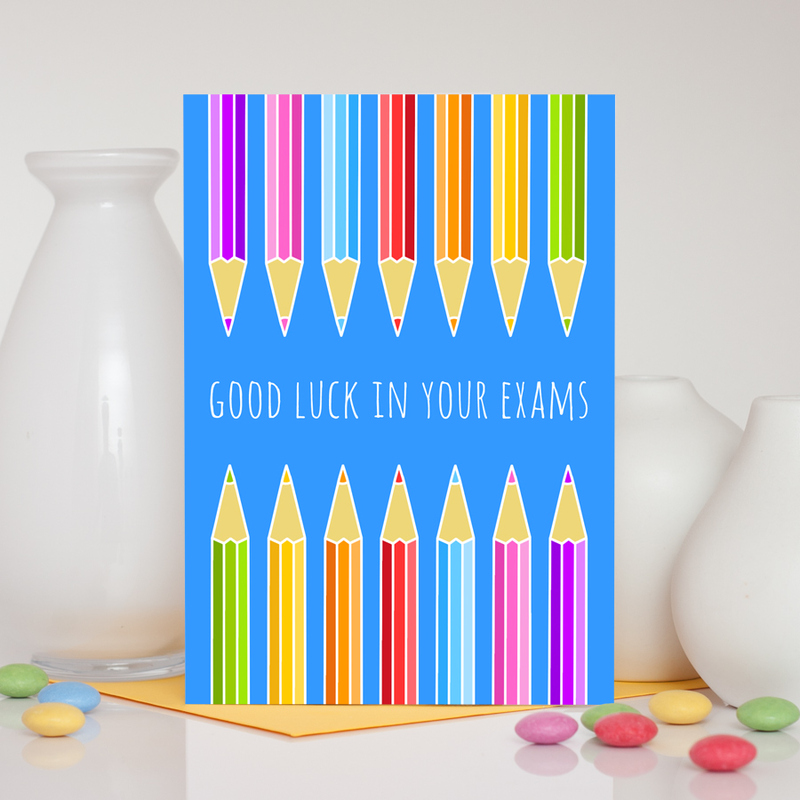 The designs include an exams good luck card, an exams well done card, a graduation card and an end of term teacher card. They are all available in A6 and A5 sizes. As with most of my cards, the A5 size cards can be personalised with a name. This is particularly great as it is at no extra cost! I really enjoyed creating these colouring pencils as I had a great excuse to use as many colours as I liked! I’m really happy with how fantastic they look against the beautiful, bold blue background colour. Fab, don’t you think? 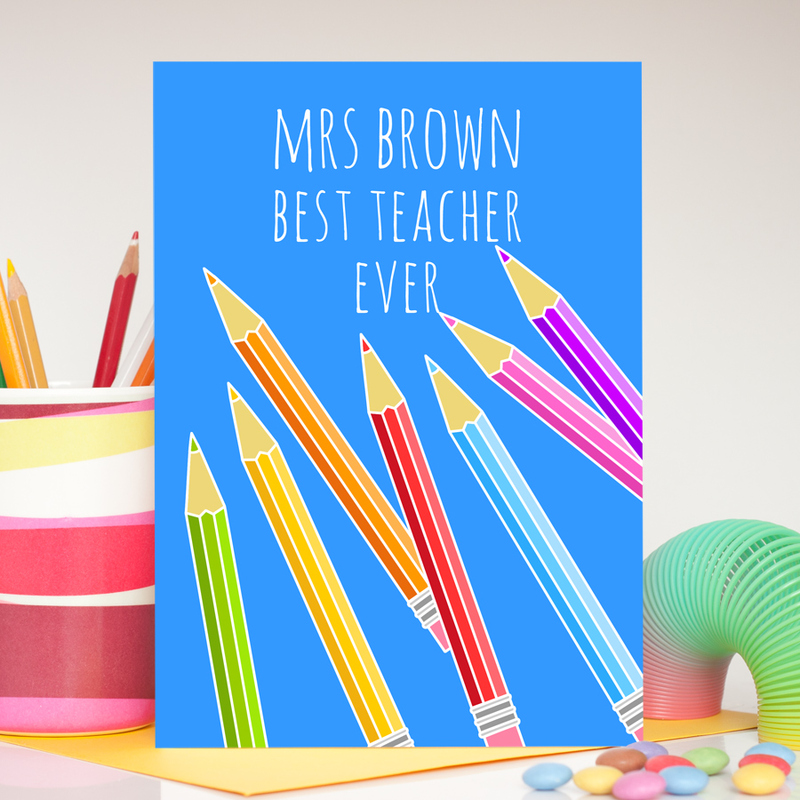 Sending thank you cards at the end of the school term is so popular these days and personalising with the teacher’s name is a fabulous extra special touch. 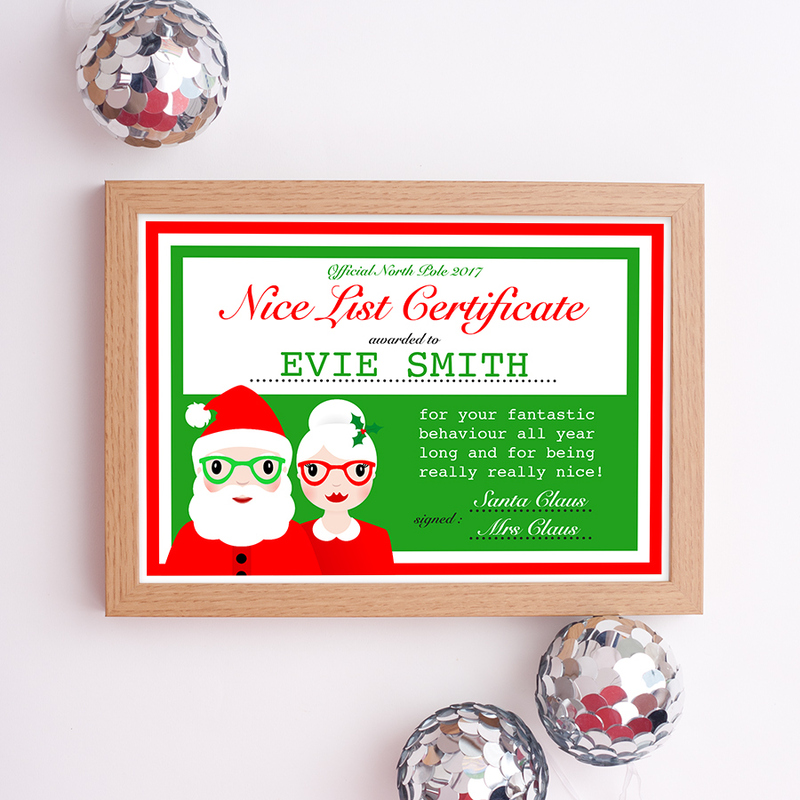 Perfect for all those amazing teachers and teaching assistants out there! I have also added four new cards which go alongside the #StationeryAddict print I shared with you last week. The print, which was originally inspired by National Stationery Week, is now available on my website in 5×7 inch, A4 and A3 sizes. 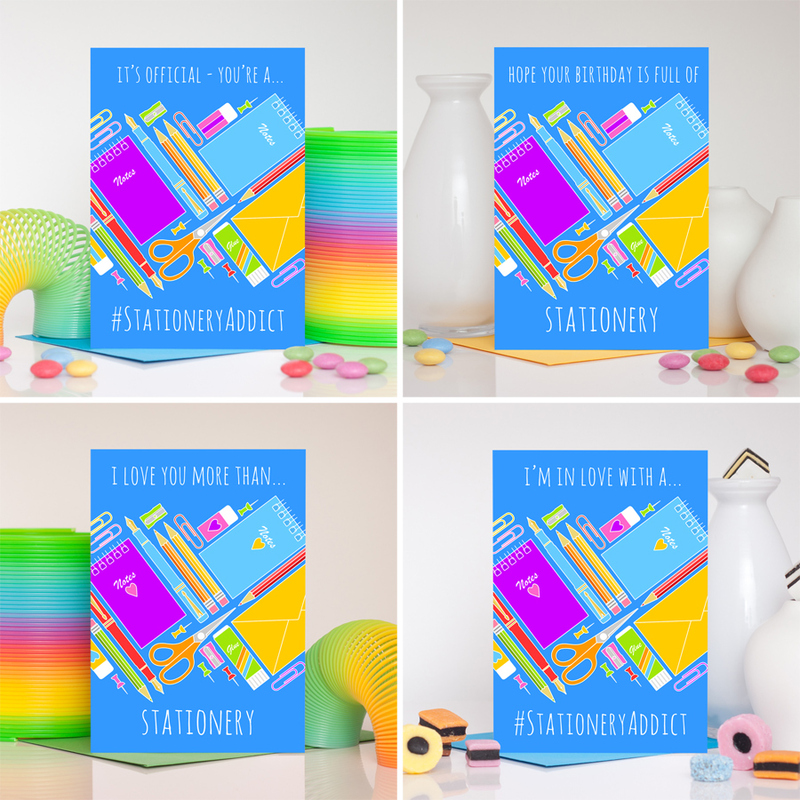 The stationery addict cards are available in A6 and A5 sizes and the different versions include a general any occasion greetings card, a birthday card and two romantic cards. Brilliant for any stationery addicts you know and I’m sure you know a few, I definitely do! 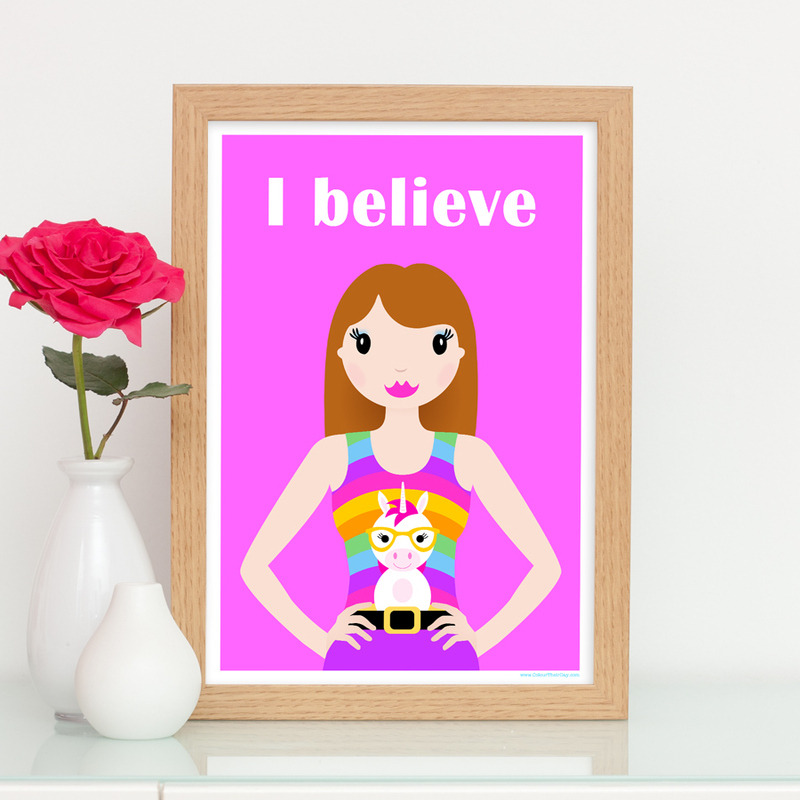 I hope you like this new range of designs and I would love to hear what you think of them! 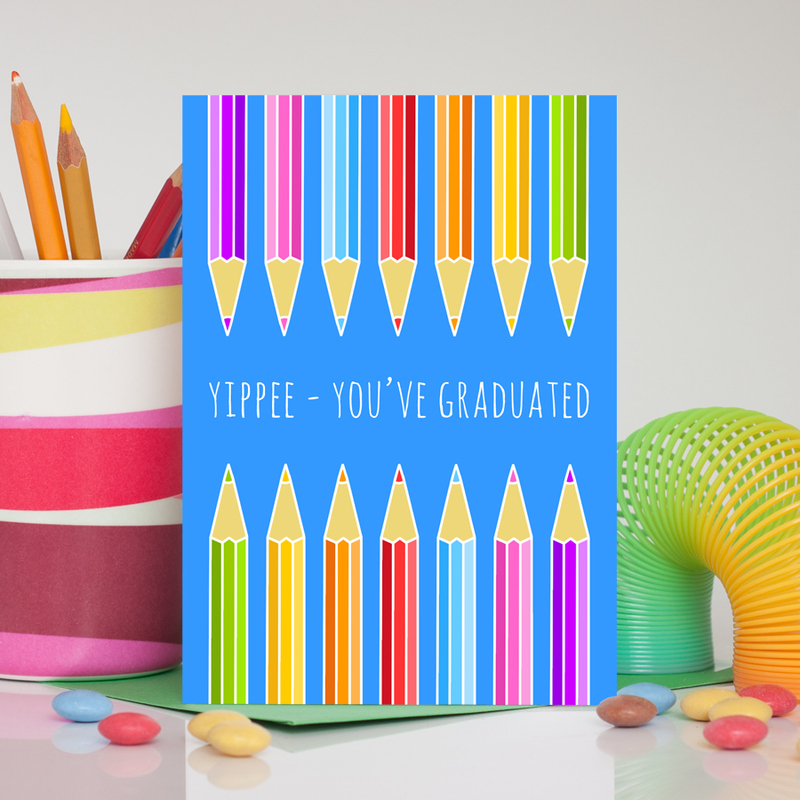 Take a browse through the card section of my website as there are lots of other new fun and vibrant designs too! Hope you have a bright and cheery weekend! !